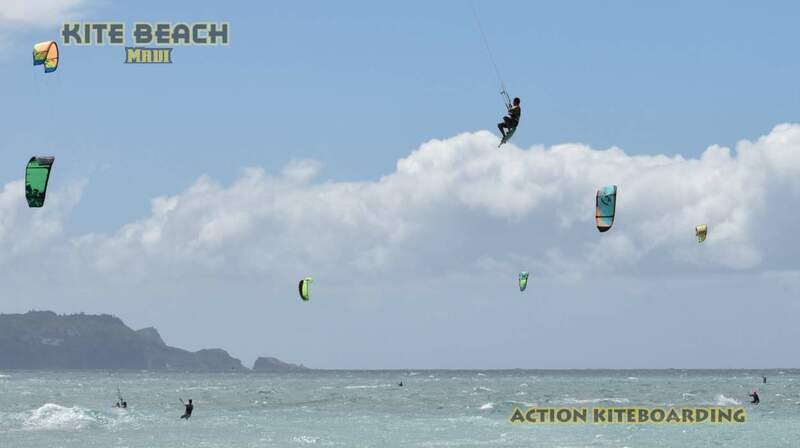 Discover the exciting world of Maui kiteboarding: We host Kite trips to Maui for all levels of Kiters and non-kiting family members. If you want to Kite everyday in great conditions, or mix Kiting with some sightseeing and cultural activities we have a plan to suit you. Each Kite Trip is customized to your needs and budget. We can arrange everything so you can relax and enjoy the experience. Maui is known as one of the most reliable and best kiteboarding locations on the planet, with warm side shore winds and accessible ocean and a range of conditions to suit every rider. Kiting Activities Include: Available options include, Go free riding any time, we tell you where to go, and we have give you daily weather updates. Or join one of our; Advanced riding sessions, Supervised kiting for intermediates, Down winders, Get some Coaching, Get a Kite-Caddy, as well as Kiting lessons for every level. Try Something new, Ocean Riding, Directional Boards, Learn to Foilboard, or push your kiting to new levels with private coaching. We say a week in Maui is like a month on the mainland, your riding will improve and you will expand your kiting experience. Non-Kiters may want to get a taste of Kiting: We have a full-service Kite School offering single “Try Kiting” lessons, and multi-day courses too. Maui is a great place to try kiting for the first time. Maui is an adventure sports playground: In addition to some of the world’s best Kiteboarding and Windsurfing, Maui also offers, Volcano Tours, Downhill Mountain Biking, Surfing, Rain-forest Tours, Scuba Adventures. Underwater Scooter tour of shipwrecks, and full dry submarine tours. On Maui it is “Summer” year round, but the biggest surfing waves are in the winter and the best wind is in summer. Many people like to come Spring and fall for a combination of wind and waves too. Local Lifestyle: Singles can travel solo, or get together with other kiters in private ort shared accommodation, whatever your preference. We have regular group activities to Maui’s best attractions and locations. You can have fun and socialize with international travelers and the locals too. Live in the moment and be spontaneous or let us plan your daily schedule, it is up to you. We can guarantee that you will always have the best options and choices available to you. Family Experience: Traveling with family is no problem too, we understand that you always cannot Kite 24/7 but you can maximize your ride time, while catering to all the non-kiters in your crew. Families can enjoy Maui too, with Shared Ride time, alternate activities, and we even have qualified Child Care available on the beach. Young Kids can also participate in Surfing from age 5 and up, windsurfing, from age 6 and “Kid’s” Kiting from age 8 and up. Maui Climate: Maui is situated 20 degrees north of the equator and square in the trade wind latitude. Maui has warm weather year round, and has kiteboarding all year long. The peak windy season is in summer, and the peak wave season is in winter. Surfing is also available all year as well as all ocean activities. There are really only two seasons in Hawaii: summer (kau) from May to October and winter (hooilo) from November to April. The average daytime summer temperature at sea level is 85° F (29.4° C), while the average daytime winter temperature is 78° (25.6° C). Maui Culture: Maui Has a unique host culture, the Hawaiian culture is a Polynesian culture that was centered around the aquatic lifestyle as well as being in tune with the natural world, and practicing ecologically responsible agriculture. Sports have always been an integral part of Hawaiian society and surfing especially achieved a high art form and a spiritual-religious standing. Sailing, seafaring, surfing, canoe racing, are part of the community culture. In Hawaii you can experience some of the Hawaiian culture in various activities, tours, as well as specialty events. Your Hosts: We have been hosting Kite Trips for over 20 years and can cater to almost every need. Budget accommodation up to private ocean front homes, or 5-star resorts are available for the asking. Or you may prefer to live like a local, and enjoy the Island. We are also the source of your Kiting windsurf, and Surfing lessons, gear rentals and on-water activities. Dare to Dream: All great adventures start with an simple idea and a dream. 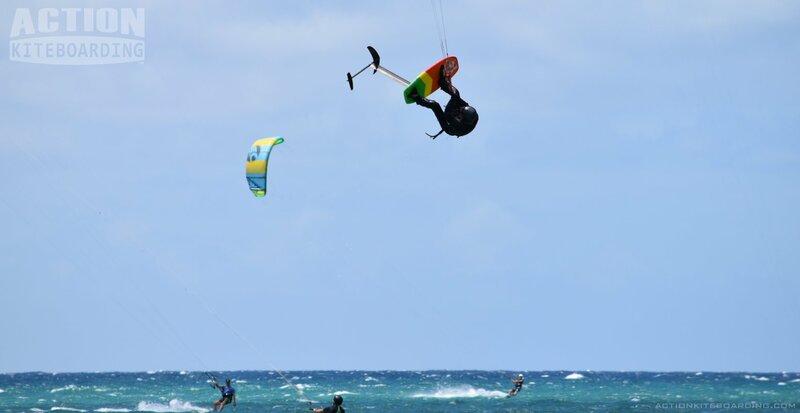 Dare to dream yourself kiting on Maui, and your adventure has already begun. Plan your Trip: The peak windy Season on Maui is May through September, with the most reliable wind and easiest conditions. And this is a great time to plan your kite trip. Send us your dates, group size, and activity preferences, and we can put together a great itinerary package for you.